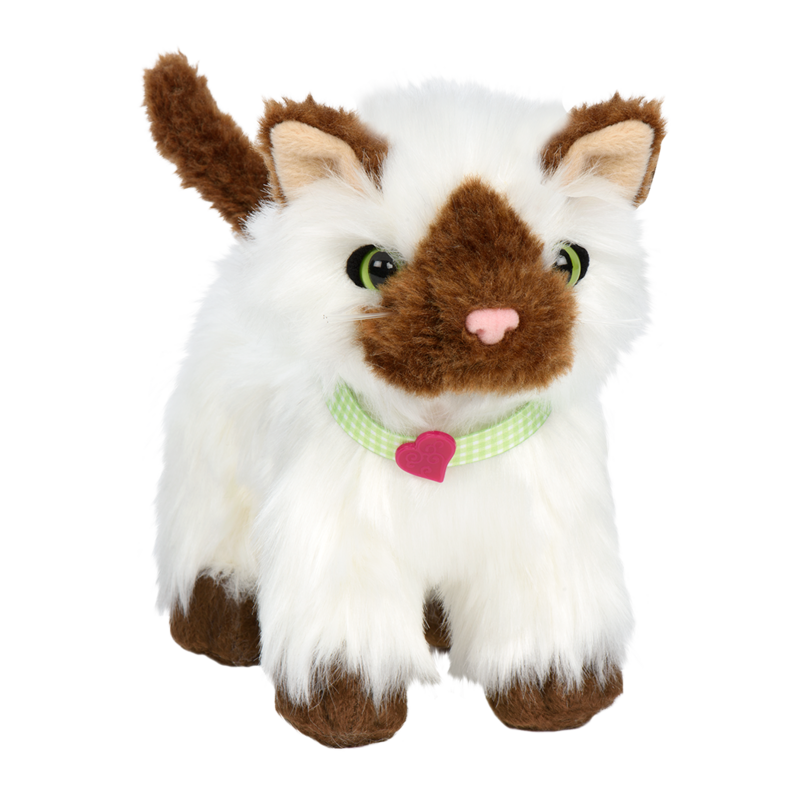 Help animals thrive with this 18-inch vet doll! 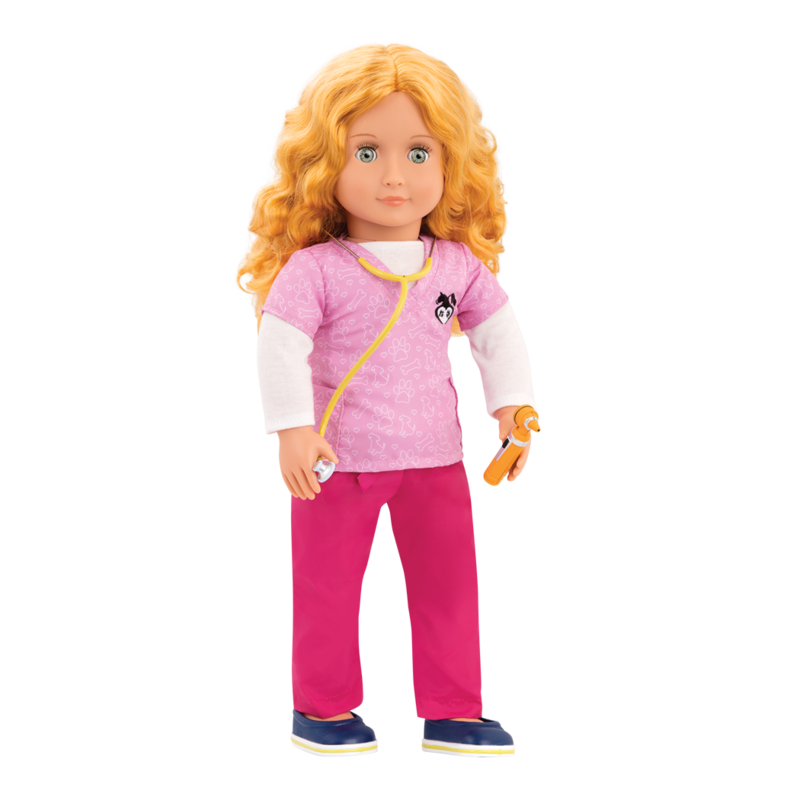 Tails will wag, birds will chirp, and cats will meow with happiness with Our Generation Regular 18-inch Professional Vet Doll – Anais, a beautiful 18-inch doll with shoulder-length, curly strawberry-blonde hair and pale green eyes. 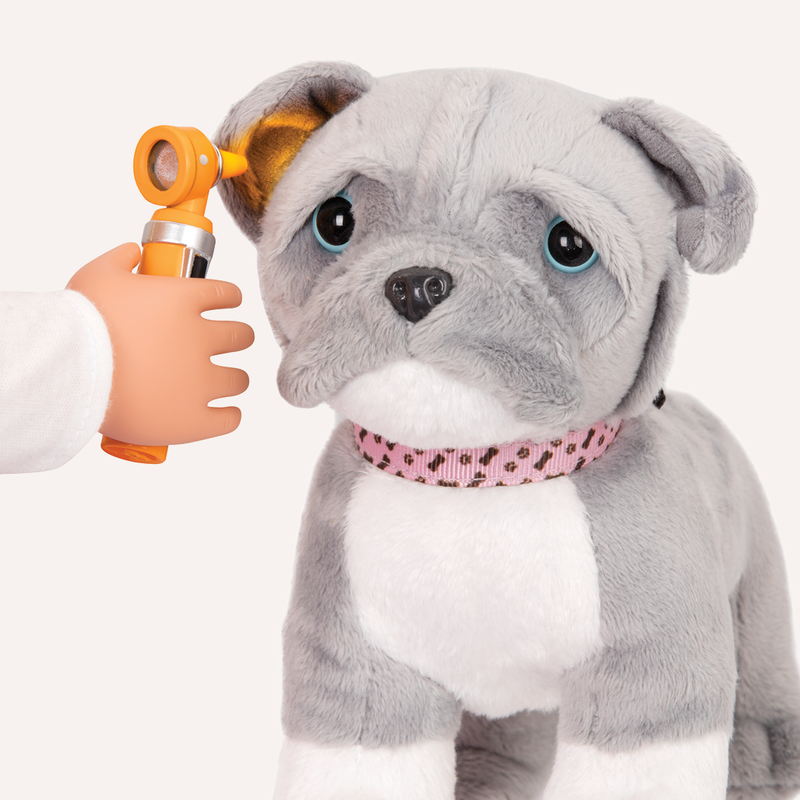 Anais is living her dream of being a veterinarian at the Healthy Paws Vet Clinic and helping to make all kinds of animals feel better. 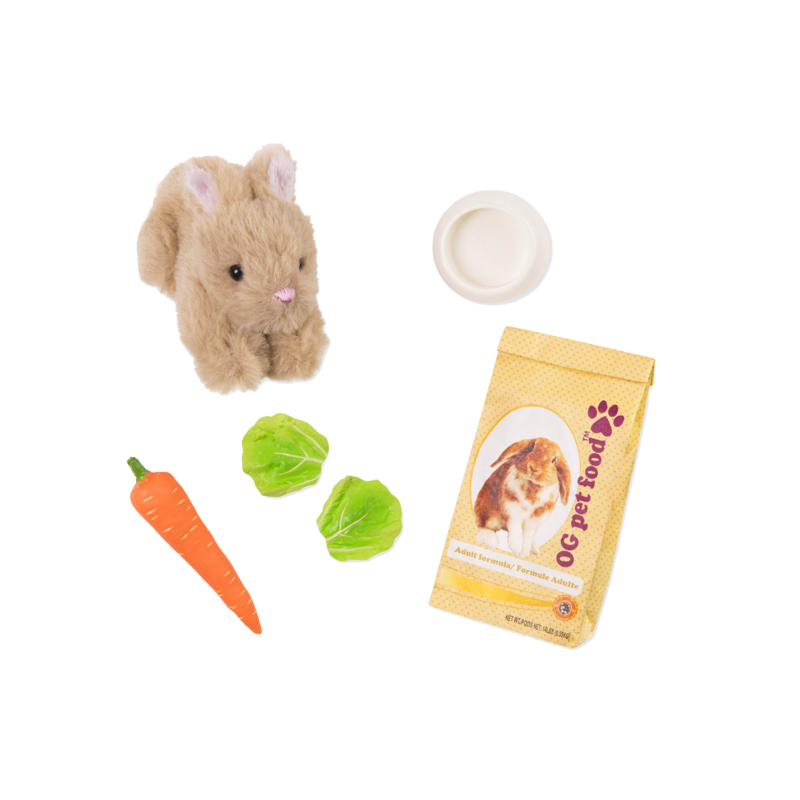 Helping pets stay healthy from snout to tail!! 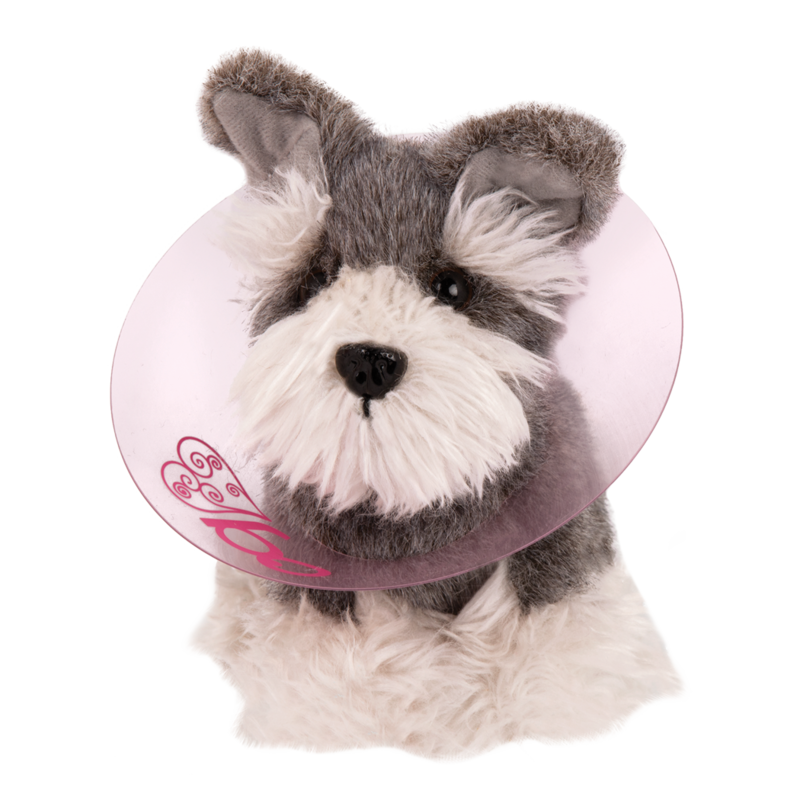 Anais is a non-posable doll whose neck, shoulders, and hips rotate so she can be positioned in many different ways! 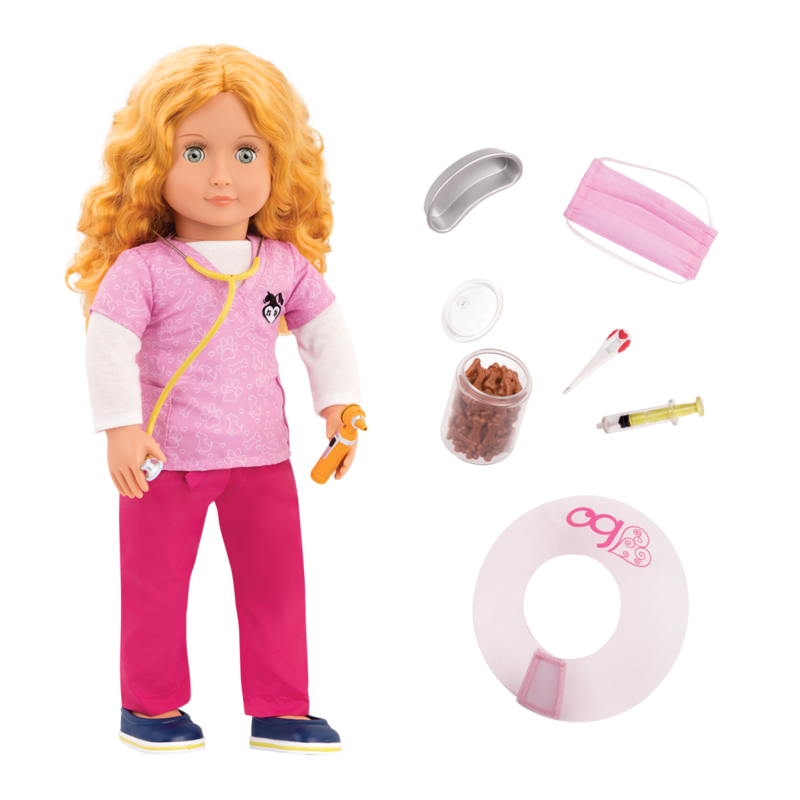 She wears her vet uniform featuring a comfy white long-sleeved t-shirt, pink vet uniform “scrubs” with a top and pants, and comfy flat shoes to help her stay on her feet. 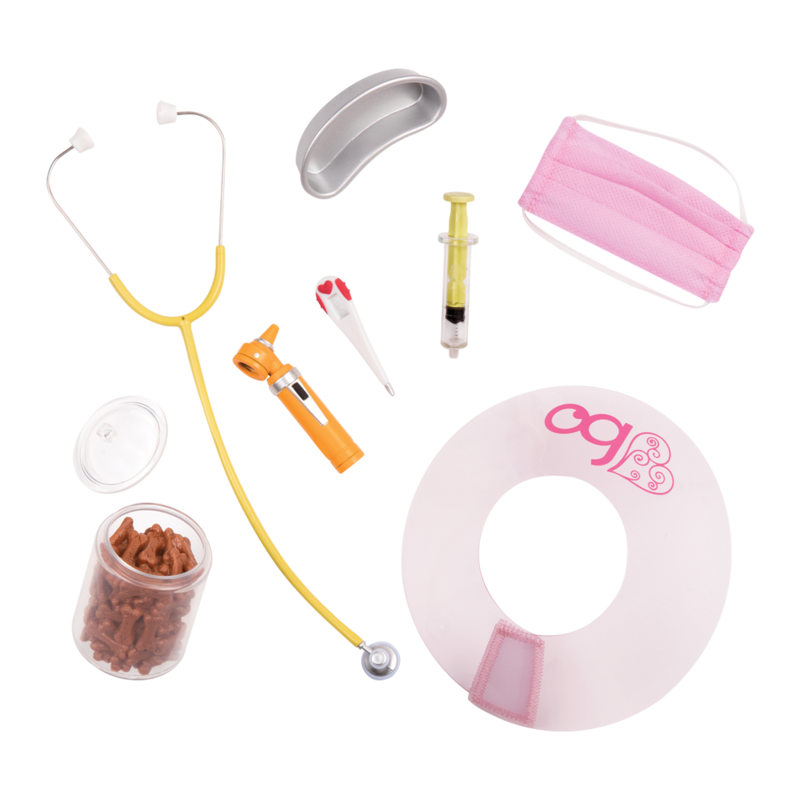 She comes with lots of vet tools and accessories to help her care for animals, like a stethoscope, a collar to put on pups or kitties, an otoscope with a working light for checking her patient’s ears, and more! 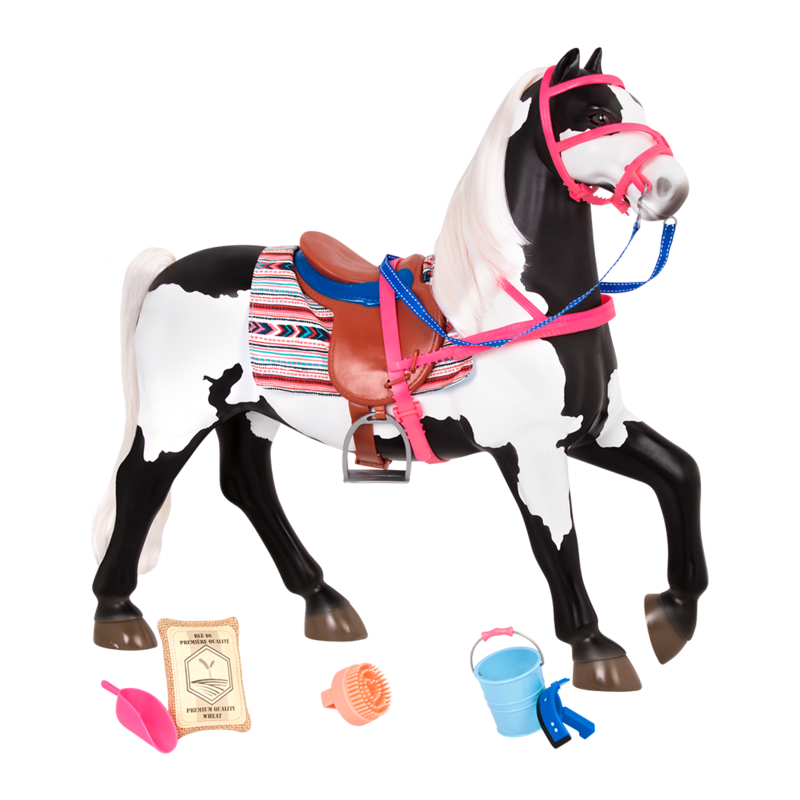 Both Paloma and Anais work together taking care of animals in need at the Healthy Paws Vet Clinic, a fully-stocked vet clinic accessory set for 18-inch dolls with cool features like a light-up x-ray viewing panel and two kennels for pets! Anais arrives with her hair pulled back in two ponytails, but you can style her hair in a lot of different ways! For dolls like Anais with curly hair, we recommend using a wide-tooth, flexible comb and always working with very small sections at a time. 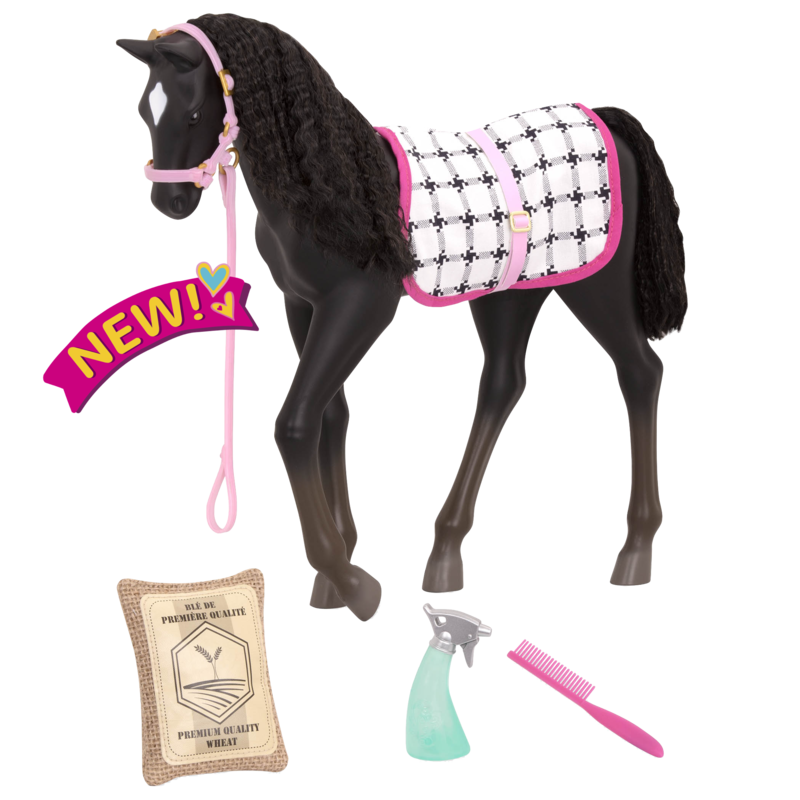 she is just perfect for me and all her accessories are awesome except for the face mask you cant put it on!!! !